For our money, it just isn't Christmas without a massive live tree, plopped in the living room, and threatening to blow a fuse with its tangle of blinking lights. The ornaments, the aroma, the festive feeling: Who cares if it sheds needles that will take days to tidy up? Anna Wintour, that's who. According to an Instagram post from her daughter, Bee Shaffer, the Vogue editrix ditched her tree before Christmas because it was "too messy." 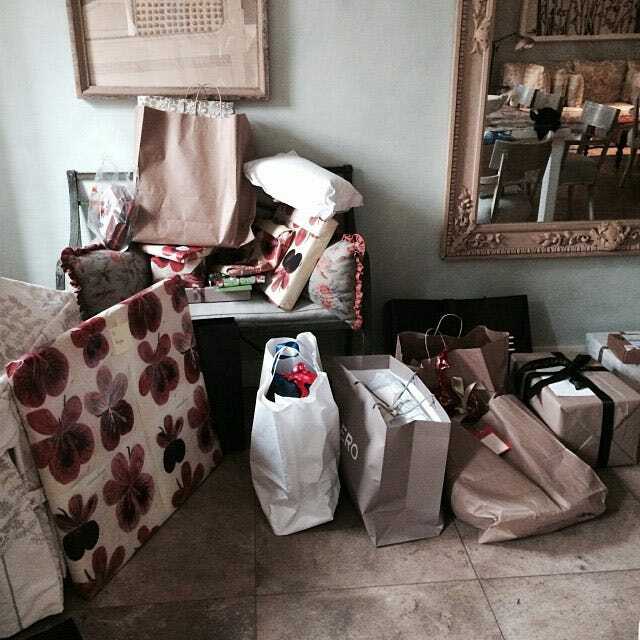 Shaffer's sad image of presents piled in a particularly unfestive corner of the room shows just how bleak and Grinch-y the situation was. That said, we can't feel too sorry for the girl. Check out all those shopping bags and what looks to be framed art! Far be it from us to tell Ms. Wintour how to do anything, but c'mmon! A well-dressed Fraser fir never hurt anyone. And, don't even pretend you don't have a cleaning lady!